Small village on the coast five miles to the south of Girvan that is popular with holiday makers. 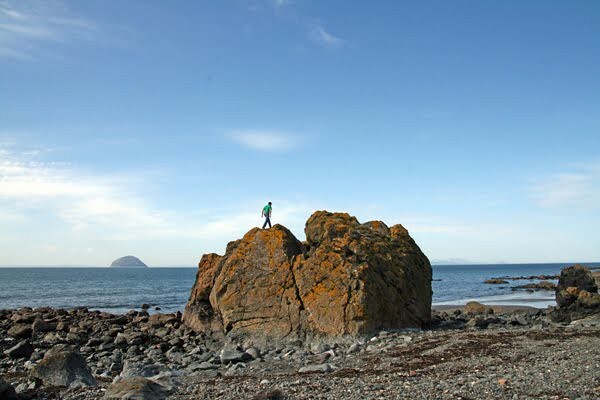 Lendalfoot as its name suggests, is a hamlet located at the foot of the Lendal Water with breathtaking views of Ireland, the Mull of Kintyre, Arran and of course the world famous Ailsa Craig. The village has around a dozen houses only, straddling the A77. Close by is Carleton Crescent which comprises some twenty seven chalet type bungalows nestling below the great hill that protects the village from the East wind. Of the twenty seven houses about half are resident all the year round and the other half are second homes and holiday homes. 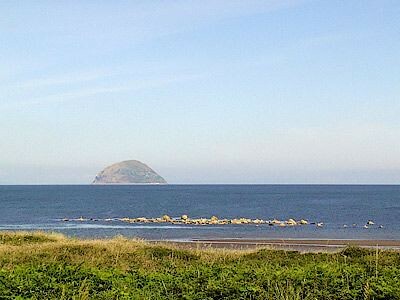 The village is on the curve of Lendalfoot Bay, which is an unspoiled mile long sandy beach. To the south of the village is an excellent off road picnic area, with a sandy beach and excellent views up and down the coast. When the tide is out you can walk out to the rocks. Seals are a common site. At the west end of Carleton Bay is Carleton Fishery, which is dated 1832. On the beach the sailing ship used in the 1970's television programme "The Onedin Line" ran aground, but its owners managed to refloat it. Beyond the picnic area one comes to The Whelk, another spot occupied by holiday homes, huts and caravans. Some of these have been positioned around the rocks of the raised beach to afford some protection. 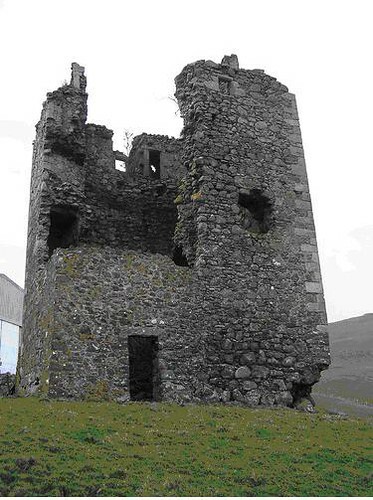 The Whelk is the name of one of the older cottages here, a simple but-and-ben. Towering over the Carleton cottages are Carleton and Balsalloch hills, rising steeply from the shore. Both are crowned with ancient forts. 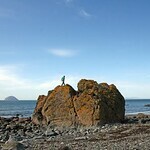 Drive down from Girvan on the A77 which follows the coast. 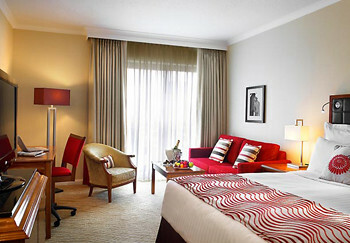 There are various self-catering properties in the area.